Basketball is back. College football is in full swing, but hoops season is quickly approaching. In fact, we�re less than a month from the start of the 2008-2009 campaign. It�s time to get started on SouthernCollegeSports.com�s NCAA Basketball preview, and we�ll kick off the year by previewing the "low-major" conferences. Just to caution you, these previews are separated by conference, meaning any team in a low-major conference will be considered a low-major. So please, Davidson fans, no hate mail. I know about your Elite Eight appearance, but you still play in the Southern Conference. And if you are baffled because you don�t see your team included on this list, it�s probably because your favorite team is a "mid-major." That�s coming next week. For now, we�ll get started by previewing the top low-major teams in the nation before predicting the champion of each low-major conference. After an Elite Eight run last March, this team needs no introduction. You already know about the Wildcats, who finished 29-7 last season and boast one of the nation�s top players, Stephen Curry. The knock on Davidson this pre-season surrounds the loss of point guard Jason Richards, the nation�s assists leader last season, and the fact that Curry will now be forced to take over the point. Richards� graduation could mean less scoring opportunities for Curry. Of course, it could also mean that one of college basketball�s most prolific scorers will have the ball in his hands even more. That�s certainly a scary thought. Outside of Curry, senior big man Andrew Lovedale is the next option offense. The 6�8 Nigerian showed steady improvement over last season and forms a dangerous inside-outside combination with Curry. With those two in the mix, as well as the return of sharpshooting junior Bryant Barr, another trip to the NCAA tournament�s second weekend seems likely. Nearly everybody is back for the Saints, who dominated Vanderbilt in the first round of the NCAA tournament last year. The returning starters include stud upperclassmen in junior wing Edwin Ubiles and senior guard Kenny Hasbrouck, who lead Siena�s up-tempo offensive attack. The Saints will be tested throughout the first two months of the season, as they will participate in the Old Spice Classic and will travel to Pittsburgh, St. Joseph�s and Kansas. The tough non-conference slate will gear up Siena for MAAC play, where it should coast to a conference title. Head coach Rick Byrd has quietly put together one of the most consistent low-major programs in America, as he has led Belmont to four 20 win campaigns in the last five seasons. The bulk of last year�s squad returns for 2008, meaning the same Bruins that nearly knocked off Duke will be terrorizing the Atlantic Sun this winter. Belmont�s main strength is its three-point shooting ability, led especially by senior Matthew Dotson, who shot 41.4 percent from behind the arc last season. Even with the expansion of the three-point line, the Bruins have a successful formula going. Remember this team when March rolls around. The Horizon League may have a new king this season. With Butler losing nearly its entire team, Cleveland State has to be considered the favorite for the conference title. The Vikings return four starters, including two of the top players in the Horizon League in seniors Cedric Jackson and J�Nathan Bullock. The conference run won�t be a breeze for Cleveland State, however, as Wright State and Green Bay both have teams capable of challenging the Vikings. Still, nobody in the Horizon League has a two-man duo like Bullock and Jackson. Cleveland State will test itself in the non-conference with home games against Kent State and Kansas State and road games against Washington, Syracuse and West Virginia. Like Siena, the Vikings could start getting some attention if they can prove themselves early. Boasting the conference�s top player in Marqus Blakely, who averaged a double-double (19.0 ppg, 11.0 rpg) and 2.72 blocks per game, Vermont is ready to make it back to the NCAA tournament after missing out the past few seasons. Other contenders: UMBC won the America East tournament last year and earned a 15 seed in the NCAA tournament. Point guard Jay Greene doesn�t score nearly as many points as Trimboli, but he runs UMBC�s offense with supreme efficiency. Boston University and Hartford also return a lot of firepower and could give Vermont a scare, especially when the conference tournament rolls around. Other contenders: Jacksonville has risen from the depths of college basketball after finish 1-26 in 2006. The past two years, Jacksonville has finished with a winning record, and this year it has four starters back. East Tennessee State had a disappointing season last year after winning 24 games in 2007, but the Buccaneers do have two of the league�s best players in Kevin Tiggs and Courtney Pigram. Other contenders: Montana and Northern Arizona have had decent success recently, but this is Portland State�s conference. The Vikings finished 14-2 last year and won the league by three games, and that result likely won�t change in 08-09. This is not the same Winthrop team that won an NCAA tournament two years ago. Still, even though the youthful Eagles probably won�t be showing up on any national radar, they still play tenacious defense under coach Randy Peele. Other contenders: Gardner-Webb enters its first year in the Big South and the Runnin� Bulldogs are clearly the conference�s second best team. The league title will likely be a two team race. The Matadors are the most experienced team in the league and after sharing the Big West title last year, Cal-State Northridge is looking for more. If you don�t think the Matadors are serious about winning the Big West outright this season, just take a look at their brutal non-conference schedule. Their first six games are on the road, including dates at Stanford, New Mexico and UCLA. Other contenders: Cal State Fullerton has senior stud Josh Akognon back after reaching the NCAA tournament last season. UC Santa Barbara won�t have Alex Harris, who graduted after scoring 20.2 points per game last season, but the Gauchos still have enough talent to compete for a league title. The Big Red stole the Ivy League throne last year, and they return conference Player of the Year Louis Dale, as well as sharpshooter Ryan Wittman, who averaged 15.1 points per game in 07-08. Other contenders: Penn will look to regain their position atop the Ivy League, and they have the players to do it. The only issue will be youth. Harvard, under former Michigan coach Tommy Amaker, and Brown, who finished 19-10 last year, should also be strong teams near the top of the league. Other contenders: Wright State has now won 20 games the past two years and has the best shot of knocking off Cleveland State. Green Bay had a disappointing year last year with just a 15-15 record, but the Phoenix return all five starters. Butler lost almost everything but the Bulldogs should at least be competitive. Other contenders: Fairfield won seven of its last eight regular season games last season and seems poised to improve on that momentum. Niagara lost its star in Charron Fisher, but still should have a spot in the top half of the conference. Todd Bozeman is a great comeback story for Morgan State, who shocked everybody by finishing 14-2 in the MEAC last year. The Bears will need to make up for the loss of their leading scorer Jamar Smith and leading rebounder Boubacar Coly. Other contenders: Hampton can make a great argument as the MEAC favorite, but like Morgan State, the Pirates must deal with the loss of their best player, Rashad West. Delaware State stumbled to a 14-16 finish last year but is just a year removed from three straight NCAA tournament berths. 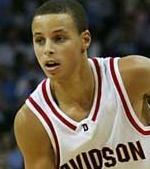 Davidson and Siena weren�t the only low-majors to win NCAA tournament games last season. Mount St. Mary�s did it too, beating Coppin State in the play-in game. Now, the Mountaineers, led by junior guard Jeremy Goode, will look to get back to the tourney for the second straight year�and maybe this time, they won�t be in the play-in game. Other contenders: Central Connecticut State will be scary good in a few years with rising sophomores Shemik Thompson and Ken Horton. Robert Morris won 26 games a year ago but will likely struggle to replace departed stars Tony Lee and A.J. Jackson. Morehead State finished just 15-15 last year, but was predicted to be much, much worse than that. The Eagles figure to continue surprising people, with the bulk of their team back, and the next step is a conference title. Other contenders: Tennessee-Martin has a big name in Lester Hudson, and coupled with Marquis Weddle, the Skyhawks certainly have star power. They are next in line and a definite possibility to win the OVC. After giving Tennessee a scare in the first round of the NCAA tournament, American enters the 08-09 season as the class of the Patriot League. The Eagles return Garrison Carr, who is lights out from behind the arc, and a solid point guard in Derrick Mercer. Other contenders: Lehigh had a very young team last season and still finished 7-7 in the Patriot League. Naturally, the Mountain Hawks should see marked improvement as they gain experience. Other contenders: In the North Division, Chattanooga and Appalachian State figure to battle it out after finishing with identical 13-7 records last year in the conference. College of Charleston finished just 9-11 in the SOCON last year but returns all five starters and should be well over .500 this season. The Lumberjacks won 26 games a year ago and return senior Josh Alexander, the pre-season Player of the Year in the Southland Conference. Matt Kingsley, a fellow senior, averaged 15.7 points per game in 07-08 and will anchor the frontcourt for Stephen F. Austin. Other contenders: Texas-Arlington has a good shot to win the Western Division, but the Mavericks will be challenged by Lamar, who won 19 games last season and boasts Kenny Dawkins, the conference newcomer of the year. You read that right. North Dakota State, who is now eligible for post-season play for the first time ever, is the predicted winner of the Summit League. Amazing, considering the Bison were an independent just two years ago. This isn�t a charity pick� North Dakota State has two of the conference�s top performers in Ben Woodside and Brett Winkelman, two seniors who averaged close to 20 points per game last season. Other contenders: Oral Roberts finished 16-2 in this league last year but lost four starters. Last year�s second place team, IUPUI, still has some firepower but suffered a huge loss in George Hill. All five starters return for the Trojans, who run a balanced attack (no players averaged more than 10 points per game last season). There aren�t any all-conference players on this team, but in the end, it�s the results that matter�and Arkansas-Little Rock produced results with a 20 win season last year. Other contenders: Middle Tennessee also returns all five starters from a year ago and is the favorite to take the East division. South Alabama returns some key parts of last year�s NCAA tournament team, and Western Kentucky can�t be counted out with the season it had last season. North Texas is another team to keep an eye on. The Hornets capped off a successful season with a good showing against Arizona State in the NIT. With reigning Player of the Year Andrew Hayles back, Alabama State should roll to a conference title like it did last year. Other contenders: Alabama A&M has the best chance of taking out Alabama State. Jackson State may also be a surprise team capable of making life tough for the Hornets.